What's the Best Return on Home Improvements? DOES YOUR HOME IMPROVEMENT PAY FOR ITSELF? Every Home Improvement project is not equal if judged on the increase in property value. When it comes time to plan a Mid-Range or Major Home Improvement project, consult with a Realtor who can advise you about what prospective buyers are seeking. 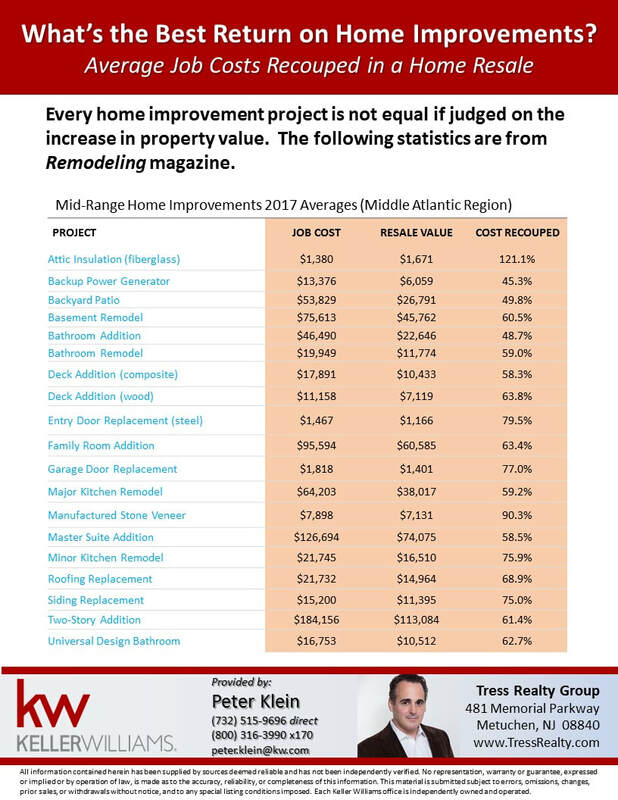 DOWNLOAD THE FULL REPORT FROM REMODELING MAGAZINE. Even if you are not planning on selling your home, a realty sales expert can provide you advice on maintaining and (hopefully) increasing the value of your property. 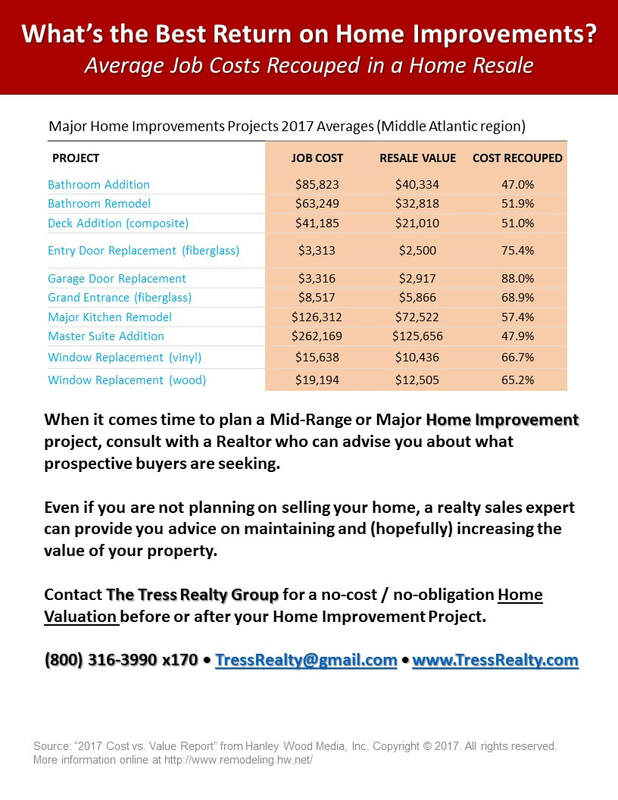 Contact The Tress Realty Group for a no-cost / no-obligation Home Valuation before or after you undergo a Home Improvement Project.